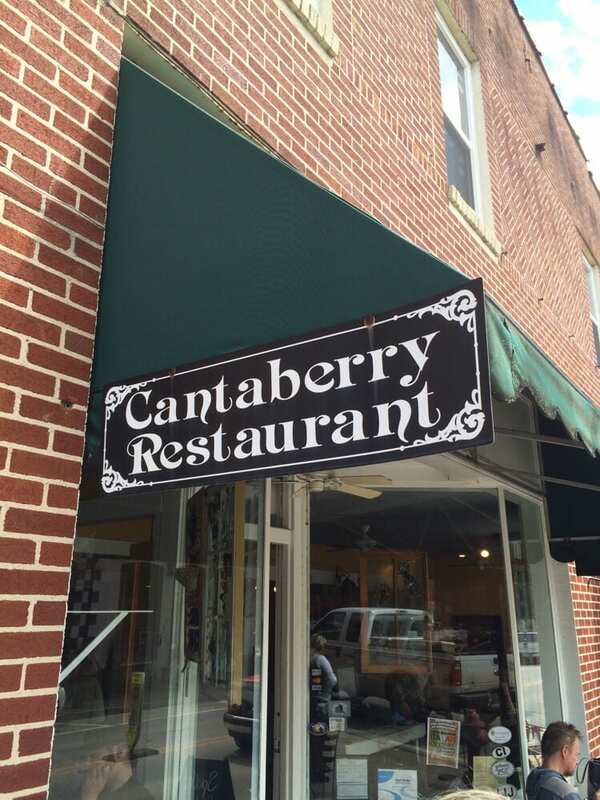 The Cantaberry Restaurant now has two locations. Historic Downtown Ellijay and Blue Ridge Georgia. The Restaurants are owned by Case and Jessica Bruner, since 2008, they are originally from Athens, Georgia. Chef Case studied Culinary Arts in Charleston, South Carolina at Johnson and Wales University. We always try to make a lunch stop at Cantaberry when we are in Ellijay. This is one of the many family owned restaurants and taverns in the historic downtown Ellijay square. Cantaberry is a perfect place to stop for lunch before beginning your antique shopping or river rafting adventures in the North Georgia mountains. They offer a large selection of homemade soups, sandwiches and salads. The tomato basil and mushroom smoked Gouda soups are two of my favorites. The apple spinach salad is also very tasty. You can get a combination soup and salad or mix and match about anything on the menu. Careful, the full portions are BIG!!! Don’t forget to save room for desert, they are amazing. Cantaberry offers homemade cakes brought in daily from some of the best local bakers in the Blue Ridge area. Every time we go, they have something new and exciting. The service is friendly, atmosphere is nice and you can sit outside on the little patio to enjoy some of the local action. Be sure to visit www.ellijayrivercabins.com to find the best places to stay, eat, shop and play in the north Georgia mountains. Our cabin rentals are convenient to Ellijay, Blue Ridge, and all the wonderful places N Georgia has to offer. Our riverfront cabins are perfect for week long getaway for your larger groups, family reunions, church retreats, or just extra room for your family to relax.